To serve the Bishop Neumann family by providing avenues for a deeper faith life and a burning love for Jesus Christ. The Ministry Team consists of students who seek to model Jesus by serving their peers and deepening the faith life at Bishop Neumann. 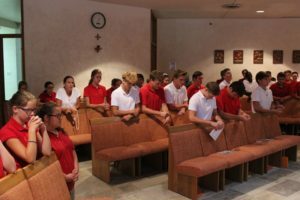 Each member is expected to actively live their faith life through prayer and the sacraments, while representing Christ in and outside of the classroom. 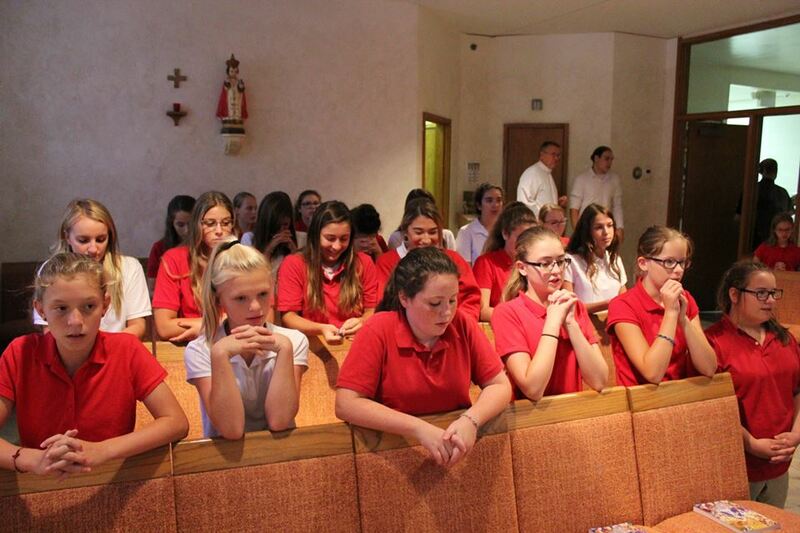 Students attend monthly meetings that are followed by adoration of the Blessed Sacrament. They help plan ministry events such as retreats, masses, stations, Jr. High Bible Study and Adoration. These students are also actively involved with the student mission trips. Bishop Neumann students attending class Mass in the Chapel.